The two largest golf management companies in South Carolina have merged to create National Golf Management, which becomes the 15th largest company of its kind in the country. 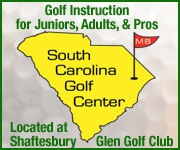 The joint venture of Burroughs and Chapin Golf Management and Myrtle Beach National Company gives the new company a vested interest in 23 of the 90 golf courses along the 60-mile South Carolina coastal region referred to as the Grand Strand, one of the most popular golf destinations in the world. 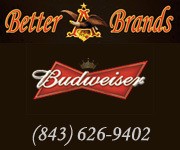 The merger comes nearly seven months after the two companies entered into a letter of intent in August 2011. As part of the merger, Bob Mauragas, president of National Golf Management, said that both companies had “captured all the business efficiencies that were possible over the past five years,” so there will be great economies of scale and price stabilization within the market. Twenty three courses will be controlled in some form by the new company. Fifteen courses will be owned and operated by National Golf Management (NGM). 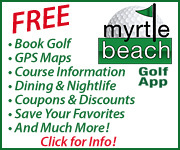 An additional eight Myrtle Beach area courses will be operated by NGM. The list of courses includes the recently renovated Pine Lakes Country Club, the area’s first golf resort, which opened in 1927 and today is listed on the National Register of Historic Places. Also included are highly regarded King’s North at Myrtle Beach National, the Grande Dunes Resort Course, Pawleys Plantation Golf and Country Club and Tidewater Plantation and Golf. According to a Golf Inc. magazine 2011 study, NGM will also be the 19th largest golf management company worldwide. Each of the merging companies will continue to own other entities in the golf and travel industry, including hotels and golf package companies, as this merger only involves the courses. “Our goal is to create an entity that will take advantage of the experience, marketing assets and the best practices of both companies,” offered Mauragas. With more than 40 years of collective experience in golf management and destination marketing, NGM will have greater ability to reach vacationing golfers through a variety of promotional efforts. Both companies have developed extensive databases and customer relations with tens of thousands of golfers throughout North America and beyond. Burroughs and Chapin has been integrally involved in Myrtle Beach community for more than 100 years, making significant contributions to its development as one of America’s leading vacation destinations. It will continue to operate its expansive residential and commercial developments that make it one of the most experienced and respected firms in the Southeast. Myrtle Beach National compliments that rock-solid business stability with years of golf course management and destination marketing know-how. The founding families of both companies will remain involved in NGM and they will continue to participate in the development of tourism for the Myrtle Beach area, while keeping an eye on growth opportunities outside the area. 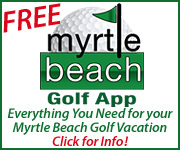 “Our joined efforts and assets will be beneficial to our customers and to the Myrtle Beach area’s efforts to remain the leading golf vacation destination in the nation, remarks Mauragas. “Our goal is to be better, not bigger. It’s clear, the more variety, value and satisfaction we can provide to our customers, the more we can claim a win-win for everyone involved. In addition to Mauragas, who joined Myrtle Beach National in 2011 and has more than 25 years of executive leadership in the golf industry, the management team of NGM will include Jim Woodring as executive vice president of marketing and interactive services, Mike Turrise as director of human resources and Max Morgan as vice president of agronomy.